Haha, that's cute, especially the smug Squalo holding that fish. Thank you. Thanks for sharing! I love the new calendar *-* ! this is definitely my favouritest scan ever! lol what a funny scan, thank you! hahaha... squalo means shark right? hahaha.. and he caught a tuna.. i bet he swam to get that fish..
AH AH ! 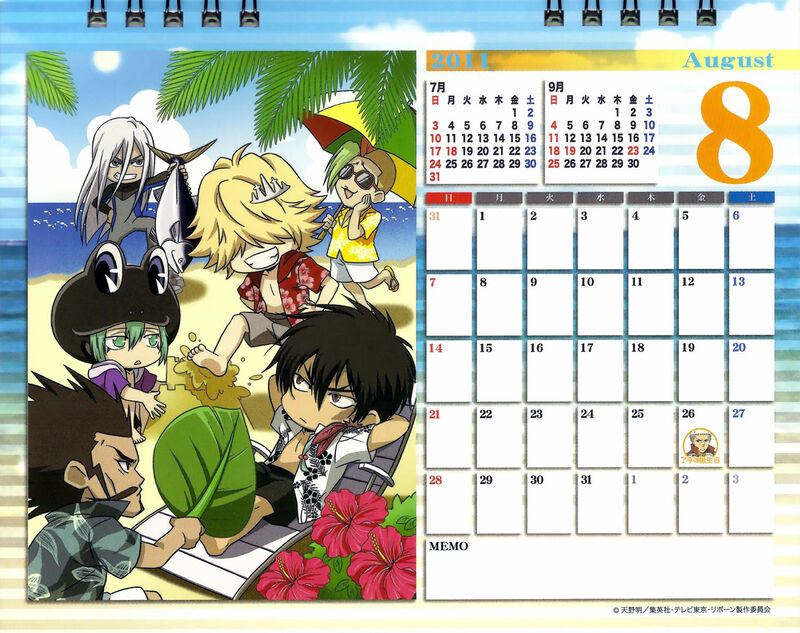 Squalo with his big FISH XD Too funny XD All chibis....too cute !